The answer is not completely straightforward because each business is as unique as the person or team that run it. Some people are more adept at running a businesses than others, some businesses are ‘luckier’ than others. An insurance claim is often considered to be a case of bad luck. However this type of ‘luck’ you can control with insurance. Insurers call bad luck Risk. Every business needs Liability Insurance, no matter where they operate from. This type of policy covers you for defence and damages if you or someone that works for you damages someone or something. If you make, repair, install or treat something, it may well be considered a product by your Business Insurance Policy. Many people don’t realise that if you import or export products, you can be legally liable if they fail. Not to be confused with Liability Insurance (above); this policy is for anyone that provides advice or services for a fee. If someone alleges that you or a representative failed to provide the proper advice, it can become the subject of a costly legal claim. Your Liability Policy is unlikely to provide this protection, so it is important to be clear on the difference. If you own your building or have equipment that belongs to the business such as computers, inventory, tools etc. it makes good sense to include a policy that protects you from the unexpected such as fire, loss or accidental damage. Business Insurance policies can cover your equipment at the premises or away from it. You need to make sure that if you use equipment off site that it is properly insured. This is often poorly understood, which is a shame, because without it many businesses could not survive a property damage claim. It’s often referred to as Loss of Profits, which can be misleading. If you are not yet making a profit it may be considered an unnecessary purchase however the very opposite is true. If your business premises is damaged and trading is disrupted, you will most likely need to pay yourself and retain your team. You may have no choice but to repay loans, accountants fees, council rates and so on. Business Interruption insurance can pay for all of these and even pay to relocate your business. 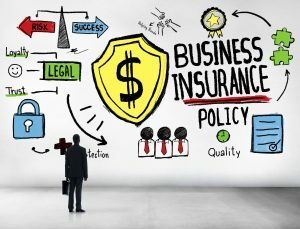 It’s possible to buy Business Insurance without being explained the importance of this type of policy. Losses from crime can vary, and affect different stakeholders different ways. There is break and enter, theft of money, fraud, employee embezzlement, ransom demands via the internet and data theft to name a few of the more common ones. There are a number of Insurance policies that can cover these risks but rarely one that covers them all, so you need to check the details carefully. Workers Compensation provides wage replacement and medical benefits to those who are injured on the job. As a business owner, it is very important to have Worker’s Compensation Insurance because it protects your and the company from legal issues. Penalties for non-compliance can be severe. Laws vary from state to state, however all require this type of cover. The finer details can make this process seem onerous, however advice from an Insurance Advisor can prevent complications and simplify the process. Business Insurance policies generally have many more sections than I have described above, for example you can add Equipment Breakdown, Tax Audit, Management Liability and even Motor Insurance. So it is important to chat to someone about your specific needs before you buy.